Conventional agriculture has been widely used to overcome food scarcity in Egypt, but in turn created new environmental, social, and economic problems. Aquaponics has a huge potential as a sustainable solution since it demonstrates promising results for urban food development while providing new entrepreneurship and start-up opportunities. Although it presents a big opportunity especially for developing countries like Egypt, it still requires further studies and researches to fully overcome foreseen challenges. This study discusses the possibility of implementing aquaponics as an alternative to conventional agriculture in Egypt through a comparison between aquaponics and conventional agriculture. The first section of this investigation analyzes the economic feasibility of aquaponics in terms of capital and operational expenditure costs. Then, an experimental comparative study is carried out examining two pilot-scale aquaponics systems (Deep water Culture system and Integrated Aqua-Vegaculture system), where crop quality (vitamins, heavy metals, and pesticides residues) of the two systems has been compared among each other, as well as to that of the commercially available organic food available in supermarkets. Results indicated that both systems produce high-quality safe organic food. The economic feasibility analysis indicated that Integrated Aqua-Vegaculture System is producing more crops with a wider variety of almost 20% less capital expenditure and operational expenditure costs. Fish production for both systems was close, yet slightly higher in Deep Water Culture. Although, on the short term, aquaponics entails relatively high capital and operational expenditure costs compared with conventional agriculture; yet, on the long term, it is more profitable, while saving up to 85% of the water wasted by conventional farming techniques. 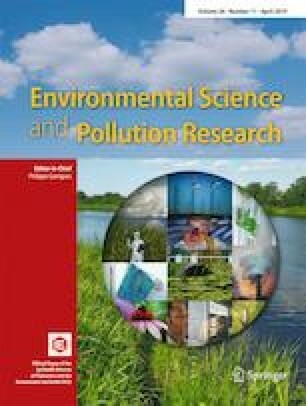 Finally, the study discusses the main limitations, drawbacks, and future of aquaponics in Egypt where public awareness and a new mindset are needed to highlight the link between agriculture and sustainability.